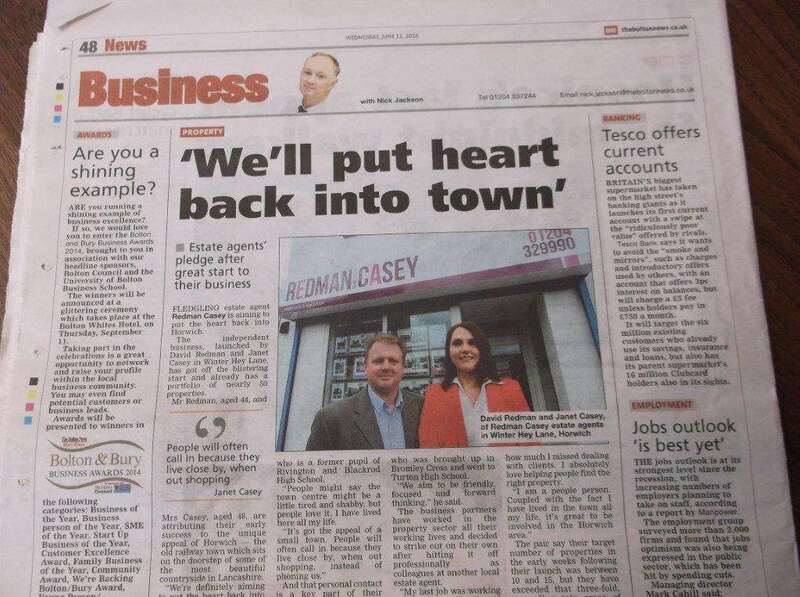 We was delighted to be interviewed by Nick Jackson Business Editor for the Bolton News Business Pages being a new local estate agents to Horwich. We are thrilled at what we have achieved so far in the business and the feedback from our customers is that we are making a difference - that is all we ask. We are so proud to be part of Horwich and Blackrod.